How can I change Self Shadow Only at runtime? 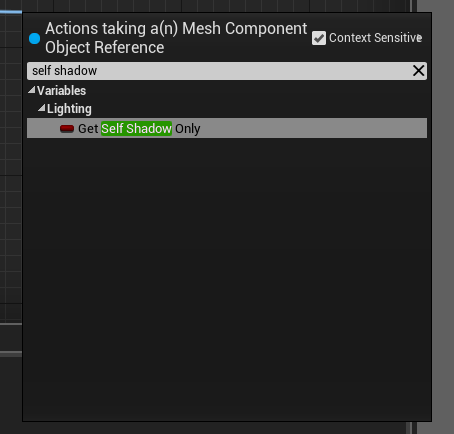 I want to change the Self Shadow Only variable on some meshes while the game is running, but I don't seem to have a way to do so. Is this possible by default? If not, what's a possible alternate solution?